This year, each entry will receive two judging sheets from anonymous PAL members (each PAL judge is an expert in his or her category but we have chosen to keep them anonymous just as your entries are anonymous to them). Then, the PAL judges will decide which entries in each category are among the best 15, and those 15 will be sent to our professional judges. The pro judges will provide judging sheets with ratings and feedback for the manuscripts they receive, and will determine which receive first, second and third place, plus any honorable mentions. Karen Grencik became a literary agent because of a man she admired. She wanted the world to know his story, so she set out to make that happen. Within a year she’d accomplished her goal. Double Luck, Memoirs of a Chinese Orphan, written by Lu Chi Fa with Becky White, was published by Holiday House in 2001. Over the next few years, Karen signed new clients and sold award-winning titles. Among the awards garnered by her authors are the Parents' Choice Gold Award for Best Non-Fiction, the SCBWI Golden Kite Award for Best Picture Book Text, and the Benjamin Franklin Award for Best New Fiction. In June 2011 Karen joined forces with Abigail Samoun to open Red Fox Literary. She has been ranked by Publishers Marketplace as one of the Top 10 agents for children's book sales in both 2012 and 2013. John Cusick, Folio Literary/Folio Jr.
John represents a diverse list of iconoclastic voices in young adult, middle-grade, picture books, and everything in between. An author himself, he brings both a creative and commercial sensibility to his agenting style. He's an editorial agent who works closely with his clients, whether it’s developing a debut project or helping a seasoned author achieve that breakout novel. His goal is always to match authors with their dream editor, to secure the best deals possible, and grow an author’s readership over a long career. What he's looking for: books kids will sneak / steal / borrow in secret; those personal, dangerous, life-saving stories; boundary pushers with a pitch that makes (certain) people say, "You can't write a YA / MG about THAT!! "; beautiful, character-driven YA and MG that connects like an emotional gut-punch; the strange, iconoclastic, and unusual. He's drawn to contemporary realistic stories with strong hooks, as well as fresh fantasy set in our world and others and loves stories told in alternate formats (letters, texts…sticky notes?). He loves funny, quirky, and spooky, with proactive protagonists, kids and teens chasing a dream or a hero who swings in with a song in her heart and a knife in her teeth. WHAT HE'S NOT LOOKING FOR: Novels with talking animals, sports stories, and poetry. 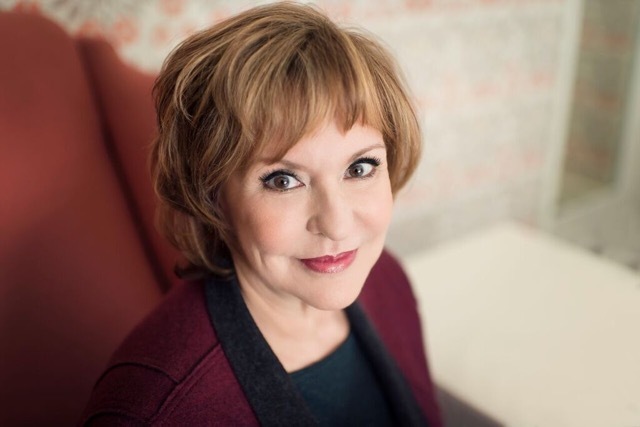 New York Times bestselling author Jacquelyn Mitchard has written many novels for adults, including Two If by Sea. She has also written young adult novels; children’s books; a memoir, Mother Less Child; and a collection of essays, The Rest of Us: Dispatches from the Mother Ship. Her first novel, The Deep End of the Ocean, was the inaugural selection of the Oprah Winfrey Book Club, later adapted for a feature film starring and produced by Michelle Pfeiffer. Mitchard is the editor in chief and co-creator of Merit Press and a professor of fiction and creative nonfiction at Vermont College of Fine Arts in Montpelier. She lives on Cape Cod with her husband and their nine children. Merit Press publishes realistic YA fiction. • Also receives FREE tuition to the next year's Southern Breeze Fall Conference! Judges reserve the right to withhold prizes in any category with insufficient entries or scores. Every piece of work you submit to a professional must be your very best. It will have stiff competition. Whether you’re submitting it to a contest (such as this), or for publishing consideration (separate from our contest), first impressions are extremely important. First drafts are rarely masterpieces. Every submission should have been revised, critiqued – by your critique group(s) or professional(s) – and fine-tuned as much as possible. We want our Southern Breezers to achieve their goals. The contest rules listed below are designed to help you succeed. Best of luck to each of you! • Spacing: All manuscript pages must be double spaced with one inch margins (sides and bottom), and must be void of your name, any identifying information, or contact information, and must include a header with title and page number. EXCEPTION: Verse and synopsis pages may be single spaced. • Chapters: New chapters must begin on a new page, be consecutive and complete (i.e., chapters 1, 2, and 3 not 1 and 3). Maximum length accepted is a total of 10 pages, including synopsis (not required). Include complete chapters only, no partial chapters. This means, for example, if chapter 1 is seven pages, and chapter 2 is six pages, the work must be shortened to a total of 10 pages, or submit only the first chapter. If your first chapter is longer than 10 pages, it must be shortened to the maximum of 10 pages. If 1st chapter is longer than 10 pages; it must be shortened to 10 pages or less. If 1st two chapters total 8 pages, and the third is three pages; enter the first two chapters only. If 1st two chapters total more than 10 pages; only submit the 1st chapter or shorten the chapters so that the total is no more than 10 pages. • Co-Authored Manuscripts: All authors must submit a signed statement confirming that the manuscript has been submitted with their knowledge and permission. Only one prize is awarded for each winning entry, and the cover sheet should identify the individual who will be accepting the prize should the entry be named a winner. Both authors must be current Southern Breezers or have attended wik or SM in the previous 12 months. • Cover Sheet: Each entry must include a separate cover sheet (not a page in the manuscript document) with your name, contact information, title of work, and contest category. This is not counted in the 10 page limit. • Notification: Participants will be notified of the Winners by email after the wik Conference ends, and judging sheets will be emailed to all participants with the notification. • Original/Undiscovered: Entries are not required to be exclusive submissions, however, entries are required to be original, unpublished, and un-contracted manuscripts. Should an entry become acquired after contest opens for submissions, and before contest winners are announced, that submission becomes disqualified. This allows another deserving Breezer a chance for recognition. After all, receiving a contract typically trumps winning a contest! • Deadline: All entrees must be submitted as a word.doc or .docx file attached to an email with subject line "<TITLE><Category>" sent to SBWritingContest@gmail.com and received by midnight Central time June 30. • Awards Ceremony: Participants do not have to be present at the WIK conference to win, but it's much more fun if they are! Send complete chapter(s) up to 10 pages (no art). Novels in verse; send complete poems – up to 10 pages, maximum word count: 2500 words.You may include a synopsis, but it will count as part of the 10 pages. A maximum of 10 pages (not including cover sheet with name and title) will be accepted. In no case may the submission exceed 2500 words.